in connection with the upcoming Christmas holidays, we would like to inform you about the closure of our company on 21 December 2018 to 2 January 2019. Mrs. Petra Vránková - 725 100 460. We will be fully available to you from 3 January 2019. Finish or CPL folded FFB boards until 13 December 2018 at 12:00. Orders sent after this date will be produced from January 3, 2019. The last expedition for this year will be on December 19, 2018. Grenagloss boards - high gloss or deep mat order until 12 December 2018 at 12:00. Orders sent after this date will be dispatched only in January. The new production will begin on 10 January 2019. Lustrolite and Splahback panels order until 12 December 2018 at 12:00. Before ordering all non-combustible, refractory, fire-resistant and insulation materials (boards, shape parts and exfoliated vermiculite) order by phone with Mr. Kubeš (724 503 694). If we have free production capacity and the required material available, we will also be happy to meet your subsequent orders. Doors ordered after these dates will be delivered from the second Week 2019. 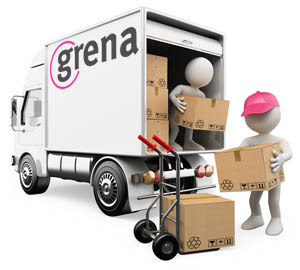 Any guarantee claims (purchase orders R) will be handled individually - please contact our Business Department, namely Mrs. Chalasova, e-mail: chalasova @ grena.cz, cell phone No. : +420 724 110 739. Thank you for your understanding and we look forward to your early orders. At the same time, we wish you peaceful and relaxing pre-holiday days.